If you are looking for a ski region that is perfect for your next family ski trip, then look no further than the Tarentaise Valley. As well as the big well-known resorts, such as Tignes, there are plenty of smaller family friendly options. Read on to discover the ideal family retreat in this beautiful valley! Spring has most definitely sprung across the Alps in the last week. As we approach April, and a change in the clocks too, we can look forward to long sunny days in our favourite ski resorts once again. The good news is that there is still plenty of great snow to be found around - and the higher altitude resorts of Val d’Isere, Tignes and Val Thorens are planning to stay open right until the end of April still. 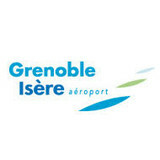 After Geneva, Grenoble airport is one of the main international airports for skiers travelling to French ski resorts during the winter months. With many low-cost airlines like EasyJet flying regular routes in and out of Grenoble airport it is relatively simple and cheap to get there from almost anywhere in Europe. 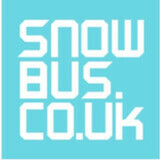 Unfortunately, for those travelling on to ski resorts in the Tarentaise Valley from Meribel to Val Thorens, the onward transfer journey can be long and expensive. With the clocks going back an hour this weekend, and the days getting colder and darker, it got us thinking about the upcoming winter season. The beginning of November means it is only just over a month until resorts start opening properly (although some glaciers are open now we know). In fact, many of our favourite ski resorts received an early dump of snow this weekend which covered high altitude slopes in glorious whiteness!